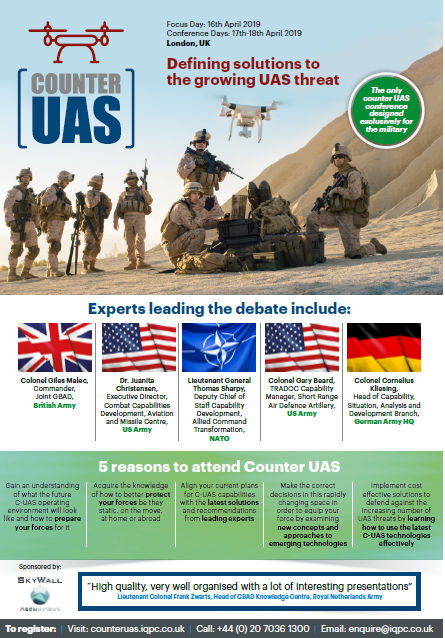 Participate at the only counter UAS conference designed exclusively for the military. British Army, NATO, US Army, German Army, Italian Armed Forces, US Navy, Royal Netherlands Army, Spanish Army and Government of France have already confirmed their participation. Complete the form to your right to receive the full 2019 agenda, with the complete speaker line-up and session guide.